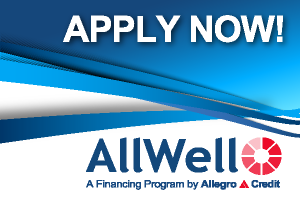 Our office offers a finance plan through AllWell and CareCredit. . With qualifying purchases, you may be eligible for a same as cash payment plan. No interest if paid in full within promotional period. Please review the information below. Or call us if you have any questions (435-628-9015). Didn’t think you could afford the hearing quality you deserve? On qualifying purchases of $200 or more made with your CareCredit credit card account. Interest will be charged to your account from the purchase date if the promotional purchase is not paid in full within the promotional period. Purchases eligible for 6 or 12 month promotions: Minimum Monthly Payments Required. ** No interest will be charged on the promotional purchase if you pay the promotional purchase amount in full within the 6 or 12 month promotional period. If you do not, interest will be charged on the promotional purchase from the purchase date. The fixed monthly payment will be rounded up to the next highest whole dollar and may be higher than the minimum payment that would be required if the purchase was a non-promotional purchase. 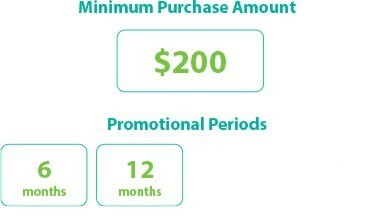 For all other promotional offers, the regular minimum monthly payment terms of the account will apply. Regular account terms apply to non-promotional purchases and, after promotion ends, to promotional balance, except the fixed monthly payment will apply until the promotion is paid in full. For new accounts: Purchase APR is 26.99%; Minimum Interest Charge is $2. Existing cardholders should see their credit card agreements for their applicable terms. Subject to credit approval.